The great down under road trip – it’s on everyone’s bucket list. Perth is a great destination for travellers who want to see the real Australia, and what is more real than the Pinnacles and the town of Cervantes? If this is your stop on the way to Sydney or Melbourne, and you’ve only got three days in our amazing city, you should consider our 3-day self-drive tour. So grab the keys, pack your bags and hop in the car. Perth’s CBD is a located on the idyllic Swan River and is perched below the first stop on our tour. Kings Park allows for an amazing view to the city, and the river. Drive up and go through a walk on the botanical gardens and along the Federation Tree Top Walkway. 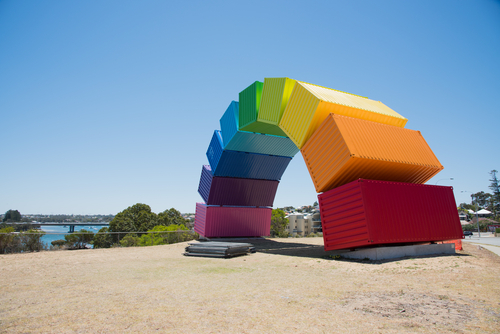 From Kings Park, take a drive down to the convention centre, from which point you’ll be able to explore the buzzing Elizabeth Quay precinct, the bell tower and amazing restaurants. After you’ve spent time at Elizabeth Quay, drive over to Watertown DFO in West Perth, where you can snap up a great bargain. The large shopping complex houses some of the best brands Australia has to offer, and will help you fill that suitcase up in no time. After your retail therapy is done, head west and find a great spot for dinner along the coast. Head to major precincts such as Scarborough, City Beach or Cottesloe. Eat up – you’ve got a big day of driving tomorrow to get to our next location. Today, we’re going to get a taste of what Australia was like a few decades ago. Head north, and keep driving, to our next location – Cervantes. This little coastal town has the charm of old-world Australia, complete with a General Store, and… Lobster Shack. We might be bias, but a lobster shack lunch and a tour through the factory is the most quintessentially WA experience we can think of! Cervantes is a town built on a history of cray fishing, and this is your chance to get up close and personal. The adventure begins with a video presentation on our boats, finding out first-hand how the exclusive Western Rock Lobster is captured in the wild and transported to shore. Here they can follow the lobsters journey from the sorting process to the live holding lanes and then on into the Live Pack out room where they are prepared for their journey to destinations all over the world. A multilingual audio guide is available for all guests, providing a range of languages, so our guests can take the tour at their own pace. The language available are English, Kids English, German, Italian, Korean, Japanese, Mandarin, French. Once you have seen how they are processed in the factory and packaged up to be sent LIVE to destinations all over the world. 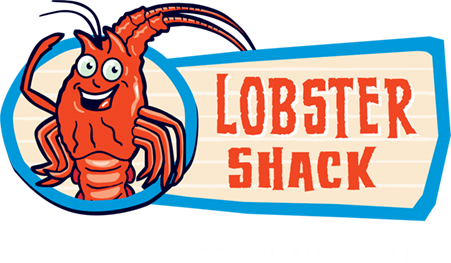 Order a Hot Lobster Lunch inside the shop and sit back, relax and finish off your journey at the Lobster Shack by enjoying the amazing taste of Western Rock Lobster. And to top it off, you have the option to buy lobster to take home and share with your family and friends. The staff will package the lobster for your convenience. As you’re driving through the town of Cervantes, visit Lake Thetis, where you can see the oldest living organisms on planet Earth! But that’s not the only natural wonder you’ll see on your journey. 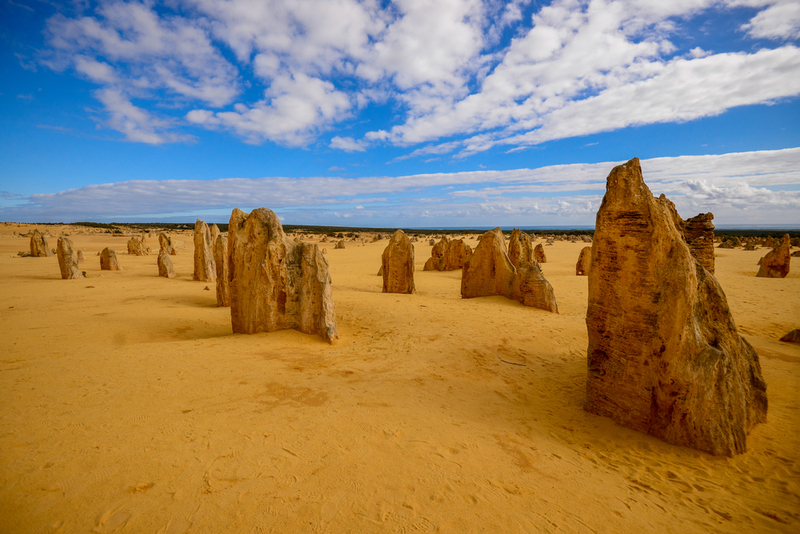 As you head back to Perth, stop in to Nambung National Park to witness the spectacle that is the Pinnacles. These ancient structures are a sight to be seen, especially when you learn the history of this area to the local Indigenous population. Head back towards Perth, and into the city to grab a bite before hitting the pillow. We’ve seen the sights, we’ve had a lobster lunch, and we’ve seen a natural wonder – now it’s time to soak up some of that relaxed Perth lifestyle. On your last day in Perth, take the 45-minute drive down to the port town of Fremantle, where you can grab a coffee on the cappuccino strip at one of the many Italian-style locales. Fremantle has a close connection with European migration, and you’ll see this as you walk down the piazza-style centre of Fremantle’s cultural centre. After you’ve had your coffee, head up to the maritime museum to learn all about our history as a naval nation. For a great seafood lunch – a must in Fremantle – head up to the boat harbour. Today’s easy-going itinerary prepares you for your return home, or the next leg of your trip. 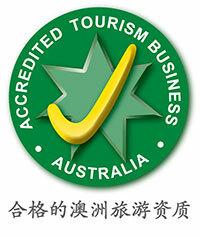 This itinerary is based on a self-drive program. If you have any questions about tours that run to the Pinnacles, please contact us today.